Welcome to my very first tutorial! 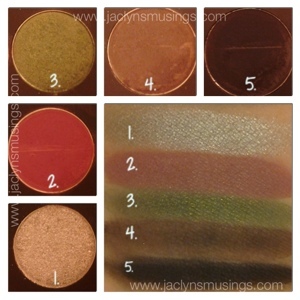 I was contacted by Chrislie Formulations (the company that makes both Lashem and Measurable Difference products) about posting an eye makeup tutorial and I agreed! 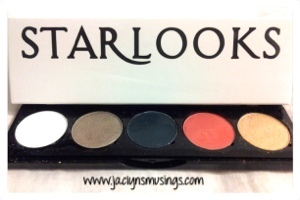 So when I received my April Starlooks’ Starbox and saw the 5 eyeshadow palette in Toyko I immediately knew what look I’d do. 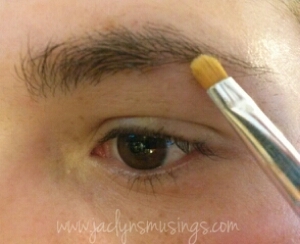 I’ve never tried taking photos of my own eye while step wise putting on makeup, so please excuse any less than perfect pictures. If you like the idea of me posting more tutorials please let me know in the comments as I have a lot of ideas of tutorials from everyday looks I’ve been wearing. This look isn’t one I’d wear everyday, but it is one I have worn several times in the last week or so. 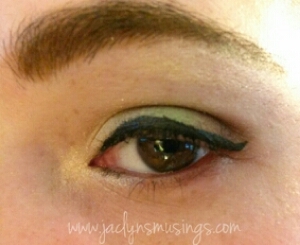 It is perfect for a colorful, yet wearable spring look. Although if you live in Southern California then it is much more like Summer than Spring. Without further ado, my very first tutorial featuring products from Lashem, Starlooks, and Measurable Difference! I always start with a clean face. 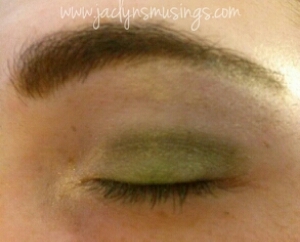 I then went ahead and did my brows. 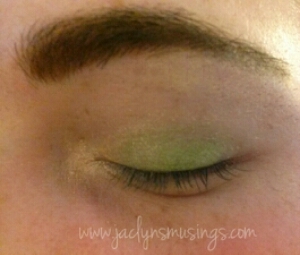 If you’d like a post with several of the different ways I do my brows including more details on the way I mention briefly below, let me know in the comments. 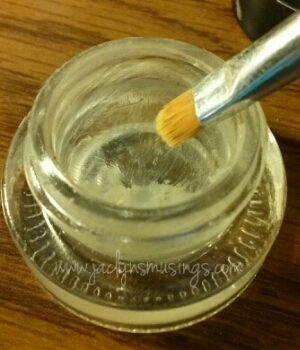 I started by applying Lashem’s Picture Perfect Instant Wrinkle Reducer to my entire face and eye area. 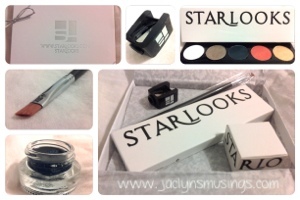 I went ahead and filled in my brows by using Starlooks Eye Primer in Clear as a base to which I added the dark brown and a touch of the black shades from Starlooks’ Eyebrow Quad that was sent in the May 2013 Starbox. 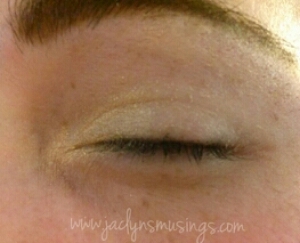 Then I prepped my eyelid with Starlooks Eye Primer in Clear which you can see I’m almost out of. 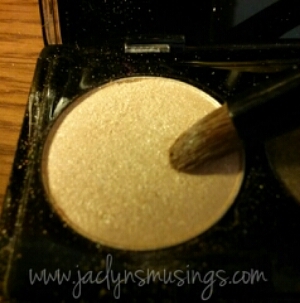 Of ALL the various eye primers I’ve tried, I reach for this one the most. 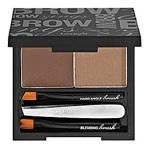 It is also great to use on your brows as a base for brow powder. It works great! 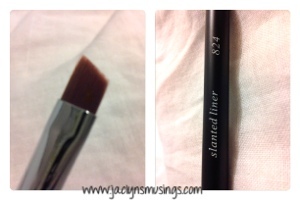 I find it is easiest to apply using a small concealer brush. 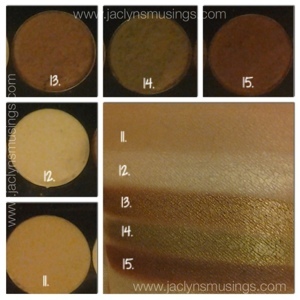 Then I used my Starlooks Medium Precision 812 brush to pack on the light golden shade (far left #1) in the Tokyo palette in the corner of my eye through first third of my eye lid and along the first third of the lower lash line. 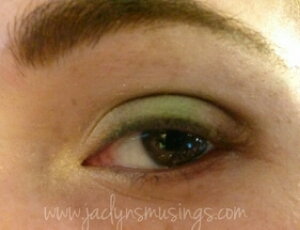 Next using the same brush to sweep on the light green (middle shade #2) along the rest of the eye lid (below the crease). 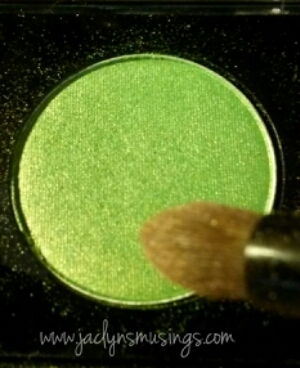 After that I used the Starlooks Small Precision 813 to just pick up a little of the darker green shade (second from the left #3) as it is very pigmented and lightly sweep along the crease and in the outer V which provides some depth to the look. 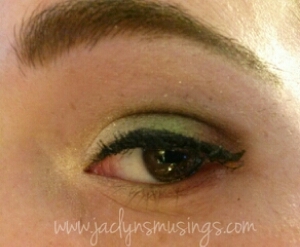 I also swept a little down onto the lower lash line. 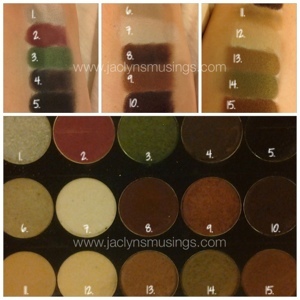 Lastly, for the eyeshadow portion, still using the 813 brush to pick up a bit of the matte cranberry shade (far right #4) to place in the corner of the out V on top of the darker green shade. 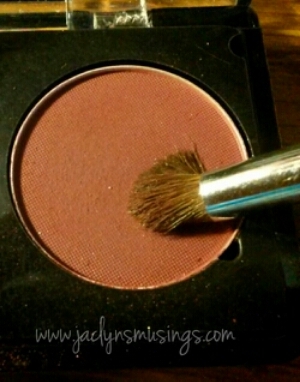 I also continued the cranberry shade down to the lower lash line. 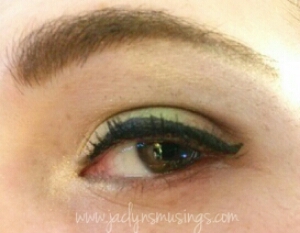 I then used Measurable Difference’s Lash Amplifying Liquid Eyeliner (in black) to line the upper lash line. I don’t tend to line my lower lash line with anything other than shadow very often as I find it makes my eyes look even smaller than they already are. 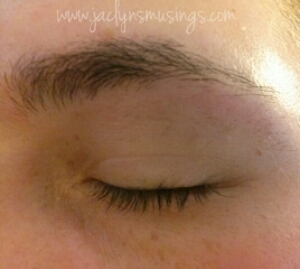 Then I finished by adding Measurable Differences Instant Lash Extensions Mascara. 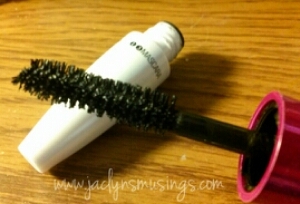 This awesome mascara really does add length and volume to my lashes. 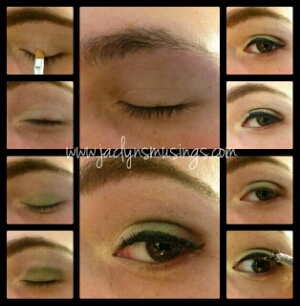 The process is a bit more time consuming than just a quick swipe of mascara. 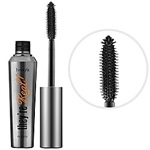 To start you first apply a coat of the mascara as a base. 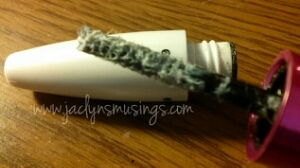 Then you add a coat of the white fibers which are what truly add all the length and volume. I added a very generous coat to more dramatically show the difference. 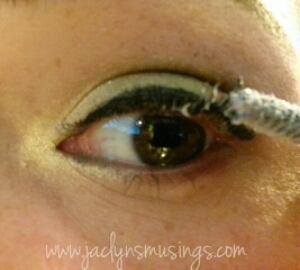 Afterwards, follow up with another coat of the mascara side of the dual ended wand. There you have it! 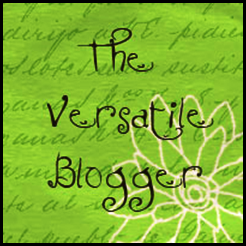 I’d LOVE to hear what you think in the comments! 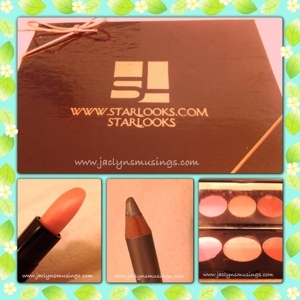 Product Review: Starlooks’ Starbox October 2013 Edition! 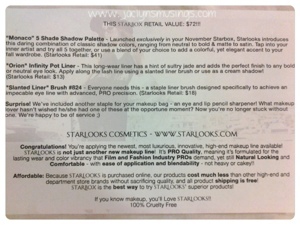 I recently had the opportunity to review the October edition of the Starlooks’ Starbox. While I wasn’t all that excited about the September box, I was quite please upon opening up this box! As usual, Starlooks’ Starbox is beautifully presented. 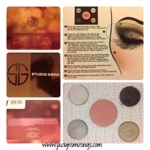 The copper metallic elastic matched the glossy black box. Upon opening the lovely box of goodies, I first saw that there were a few more cards included than usual. 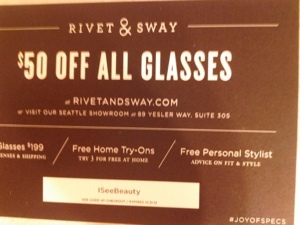 One card was for $50 off a pair of classes from (insert name of site here). They advertise that for $199 the customer chooses three pairs of frames to try on in the comfort of one’s own home and then mails them all back selecting one pair that will have their prescription lenses fitted. 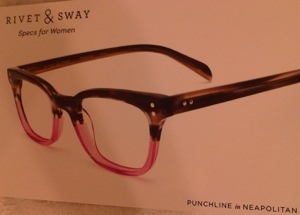 While I really like the concept and am due for a new pair of glasses, I still feel that this is too much money out of pocket for me especially when I couldn’t find any place on the site in which information about one’s insurance can be entered for prior billing. 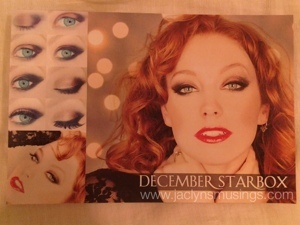 The next card mentioned a sneak peek of the products that will be included in the December box, which I will divulge later in my post! 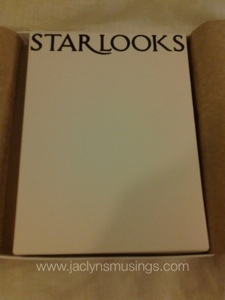 And of course the usual card with photos from the LooksBook and information about all the included products. Earlier in the month on the Starlooks facebook page, we were told that the October box included an item we hadn’t seen in a while which immediately caused followers to speculate what that might be. 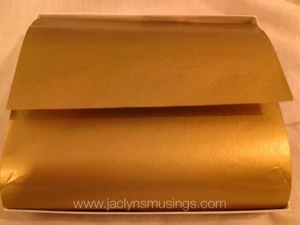 I too had a few guesses as to what this “long-lost” item could be, but I kept my ideas to myself. The first item included was a Tendergloss lipstick in the shade, Puzzy. Tenderglosses are like a combination of a lip gloss and a lipstick. 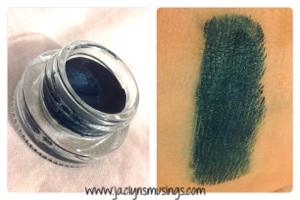 This particular shade reminds me quite a bit of the essentially clear gloss from September. In the tube this looks like a very pale light pink, but both swatched and on my lips it has no color other than a glistening sheen. 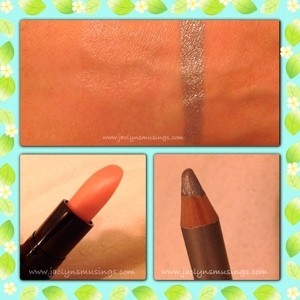 In the swatch below (on the left side of the gem pencil swatch), it is very subtle. 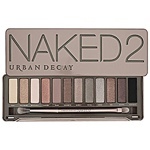 This would be perfect for someone who is just beginning to gain confidence in applying makeup along with those who do not like bright/bold lip colors and those who dress conservatively for work. Since I first started to renew my interest in cosmetics, I’ve discovered that not only do I absolutely LOVE brighter and bolder lip shades, but that I LOVE wearing red lipsticks! So to receive another lip item with very little color, I’m not that excited. However, I DO recommend the Tenderglosses as a great alternative to a ‘traditional’ lipstick, yet is still applied with the ease of a lipstick. 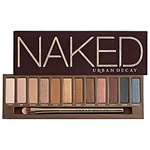 This has a retail value of $13. 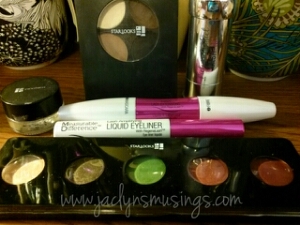 The second item in the box was a gem eye liner. Previously these were referred to as diamondline pencils and in my view of the January 2013 box (click HERE) and back in their very first box, back in June of 2012 (click HERE). These are by far the creamiest pencils I’ve ever used! Besides the insane creaminess, these gem pencils (as far as I know) all have silver (micro) glitter included. 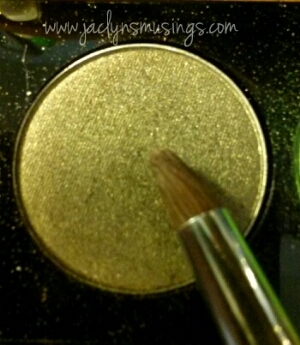 This time Mirage was included which has a base of silver also with silver glitter. 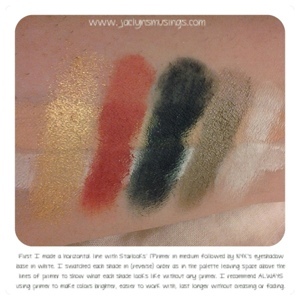 I’ve included swatches of all 3 of the gem pencils that I own. These sparkling pencils can be used alone, layered (ex. 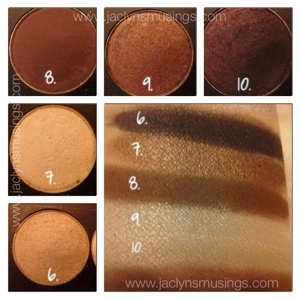 over a darker liner shade), or even smudged. 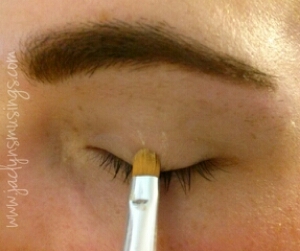 There are so many different looks that can be done with a liner such as this! The retail value is $14. The total retail value of this box is a whopping $73! That is over 4 times the cost of the box! 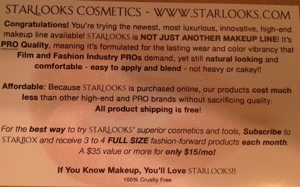 And Starlooks ONLY ever includes FULL sized products from their ever expanding line. 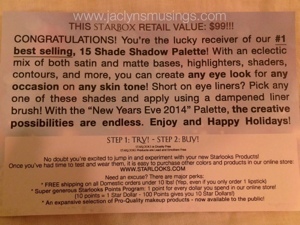 If you like makeup and surprises, then this is the box for you! 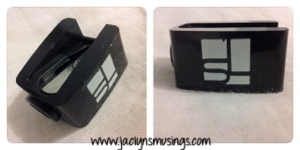 For just $15 a month (plus approximately $2.68 shipping) you too can enjoy monthly treats! 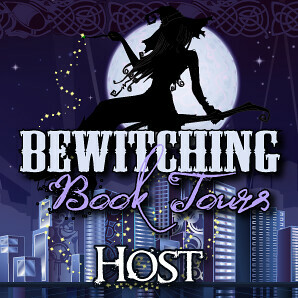 SPOILER ALERT: If you’ve been thinking out joining, but been on the fence then I have a couple spoilers for you. 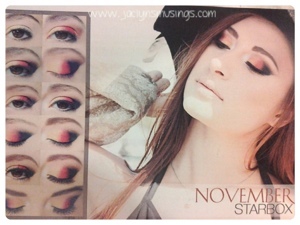 First off I’ve been told that the value of the upcoming November box is at least $75! 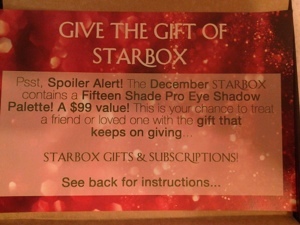 And the card included in the box states that (once again) 15 shade pro eye shadow palette which typically retails for $99 will be in the December box! 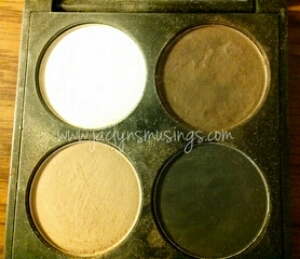 A little birdie told me that this 15 shade shadow palette will NOT be one of the ones for sale on the site, but a custom one like last years was. 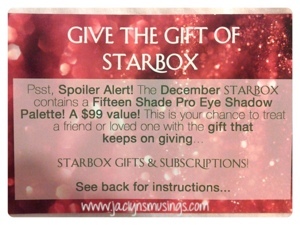 Starlooks’ Starbox makes a fabulous gift to any beauty lover from novice through pro makeup artist! 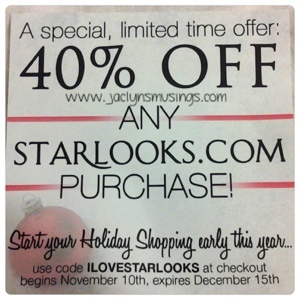 Starlooks’ recently started a referral program. For EVERY NEW subscription placed using ones referral link means a bonus box of either lip, eye, or both items as soon as all boxes are sent out for that month, for up to 3 bonus boxes per month! 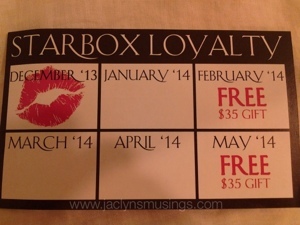 If you are thinking of subscribing to Starbox whether for yourself or a gift for someone else, I would greatly appreciate it if you could PLEASE use my referral link which you can find through the button on the far right hand side, or by clicking HERE! 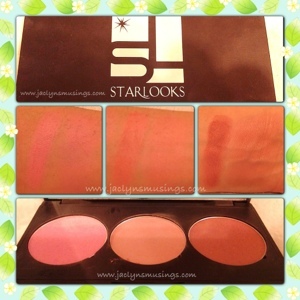 This will help me to be to continue to do reviews on Starlooks products! 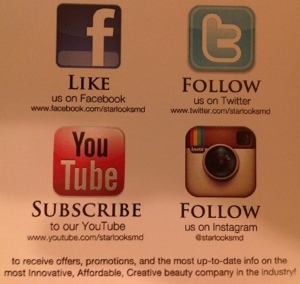 If you EVER have ANY questions about Starlooks, Starbox, or something on their website or social media pages, don’t hesitate to call or email them as Starlooks’ customer service is excellent! 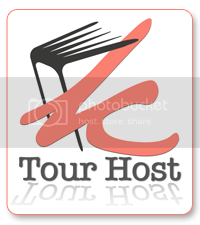 I don’t believe I have ever heard a negative comment based on their customer service. 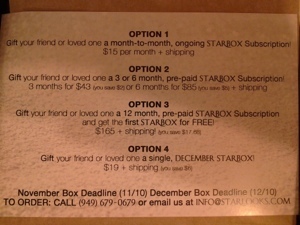 The cutoff date for subscribing to Starlooks’ Starbox is now the 10th of the month! They are also already taking pre-orders for December box! 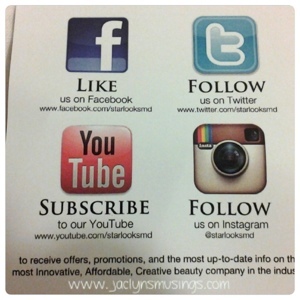 Don’t forget to check out Starlooks’ social media pages! What do you think about the contents on this box? Are these items ones you would use? 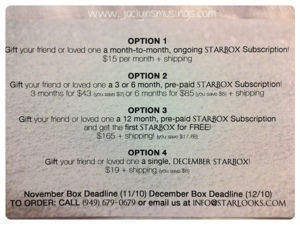 Do you receive Starlooks’ Starbox or interested in joining? I’d LOVE to hear what you think!